Back in the 1800’s, promoter P.T. Barnum posted these words on the walls of his museum in New York City to keep customers from lingering too long. Not knowing that “egress” was another word for “exit” many patrons hurried toward it, only to find themselves back outside. Egress is still a somewhat obscure word, but OSHA uses it to refer to an important safety priority — ensuring that employers have a plan in place to help employees safely exit buildings and structures in case of an emergency. There are many reasons why workers might need to quickly and suddenly exit a building. These reasons can include natural disasters like tornadoes and floods, but also manmade threats like electrical fires and chemical releases. Written employee egress plans for emergency situations — and training on those plans — are required by OSHA for all employers with ten or more employees. The plans are — and should be —customized to the type of physical structure in which workers are employed. For example, steel and glass buildings have different emergency vulnerabilities than wooden ones, and high-rise skyscrapers require different egress protocols than warehouses and factories. Every emergency action plan needs to be tailored so that employees can most-easily evacuate the unique environments where they work. OSHA also requires that employers keep their facilities clear from obstructions that would make it difficult for employees to follow the mandated evacuation plan. Employers must see that exits are clearly marked and doors unlocked, and that nothing blocks access to them. Obviously, emergency egress training can dovetail with other OSHA protocols for events that might require a hasty exit, like fire safety and hazardous airborne substances. 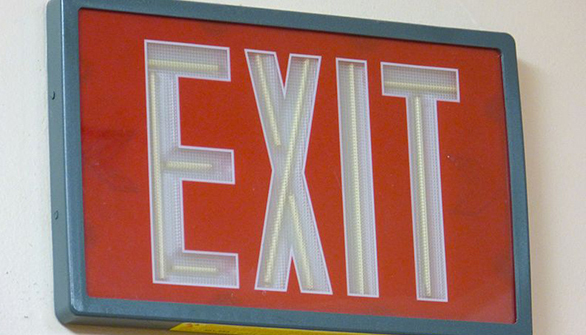 Do you need to make sure your employees know how to handle egress emergencies? MSDSonline’s on-demand course library offers trainings on all aspects of emergency evacuation through our Universal Egress Safety training module. This course covers the information that both supervisors and employees need to know to safely navigate an emergency egress, including preparation for evacuation situations, recognizing egress hazards, emergency action planning, plan communication and enforcement, and more! The course also outlines how the assignment of different roles and responsibilities for a potential emergency scenario can help ensure safety and compliance. To learn more about MSDSonline’s suite of on-demand workplace trainings — including Universal Egress Safety — visit our online course library.